Gambling, when done irresponsibly, can be detrimental to a person and entire families. We have all heard horror stories about someone betting away their family’s life savings. This is an extreme example, but it is a possibility if your gambling gets out of control. This is true even on slot machines. 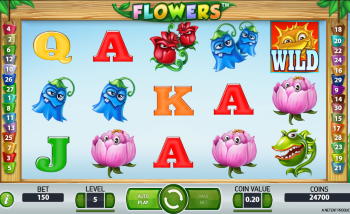 In fact, it might be even more of a problem with online slots because these games can so closely resemble video games that it is really easy to forget about the gambling aspect of the game altogether. Obviously, this is something that you don’t want to have to happen to you. That’s why we believe that it would be irresponsible not to mention it on this site. Problem gambling doesn’t impact everyone, but those that it does it hits hard. Losing money is never pleasant, but for some people it can be detrimental. It can lead to a loss of trust amongst their family, and it can cause life problems that might take years to undo. Gambling irresponsibly is also something that people tend to hide. It is embarrassing to admit to people that you care about that you have a problem. And unfortunately, gambling tends to be perceived not just as an addiction, but as a lack of skill. That can’t be further from the truth. Gambling can be an addiction, but even the greatest of gamblers lose money. The problem is not a lack of skill, but rather an addiction that can have a negative impact far beyond the person who is betting money. It can be done at a poker table in Vegas or on a computer playing online video slots. Whatever the game and wherever it takes place, the end result is the same—too much money is lost and people suffer as a result. A gambling problem can even lead to other problems as people deal with the stress, like a greater temptation to do something illegal like steal, or even the abuse of alcohol or drugs. Gambling is unlike a lot of other issues in this respect. It can lead to a spiraling down and can become much larger than it needs to be. That’s why it is so important that something be done early, rather than waiting until it’s too late. First and foremost, don’t ever gamble with money that you can’t afford to lose. If you need $500 to pay a bill soon, gambling that $500 is not smart. Your intent is probably to gain a bit extra when it comes to spending cash, but you need to remember that there’s always a chance that you will lose money. Even if you have a great strategy, slots have a high enough variance rate that even the greatest player in the world will have days or even weeks where they are losing money. Second, find the resources that you need if you think that you or a loved one has a gambling problem. There are a few different hotlines that you can call for assistance. The National Council on Problem Gambling is one of the biggest and most trusted resources out there. You can head over to their website for more information (insert: https://www.ncpgambling.org), or you can call or text a counselor at 1-800-522-4700. There are several other resources out there, too. However, if you’re not sure where to start, this hotline is as good of a place as any. They can point you in the right direction from here. Not everyone has a problem with gambling, and odds are that you probably don’t. But you might know someone who has an issue with this. Depending on what your relationship is with this person, you may or may not want to talk about this with them. At the very least, it is important to be supportive of them and not dismissive of their issue. In fact, if you are unsure of how to approach a conversation with someone who might have an issue with gambling, the hotline cited above may be a good place to go to for guidance. Gambling on online slots can be a lot of fun, but like all things in life, it’s something that should be approached with moderation. The money and time spent playing is fine if you count it as leisure time, but if it begins to negatively impact those around you, then it’s important to take a step back and evaluate yourself. And finally, it’s important to remember that it’s okay to reach out for help. Even something fun and exciting like playing slots can cause issues. This isn’t a character flaw, nor is it a sign of weakness or lack of skill. If you need help, or even think that you might, there are a lot of people that will step in and help you in a kind and compassionate way. Will the Blockchain Impact Slot Play? 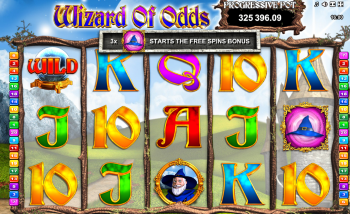 Are Progressive Jackpots Worth Trying For?